Annual Expenses: 0 (Zero) NNN- Tenant responsible for all expenses; property tax, insurance and maintenance. 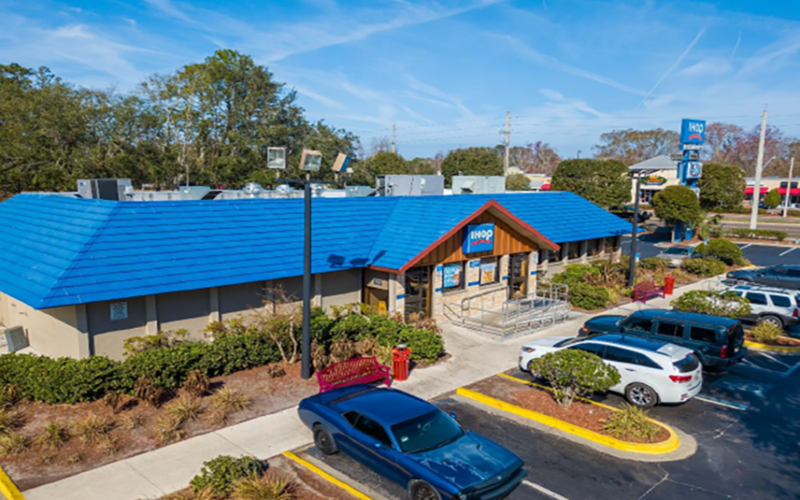 Guarantor: Sunshine Restaurant Merger Sub, LLC This IHOP is operated and guaranteed by the IHOP’s largest franchisee/licensee in the United States with over 150 IHOP Locations. The tenant has substantial experience in restaurant operations with over 925 total restaurant locations: IHOP (250+), Applebee’s (115+), Krystal Burger (350+), On the Border (150+), and Stevi B’s Pizza (40+). Location: in the heart of Jacksonville, Florida on a major 4-lane east-west arterial. Extra: The tenant has operated successfully on this site since 1987. As a testament to the tenant’s dedication to this property, they signed a brand new 20-year lease in 2008.